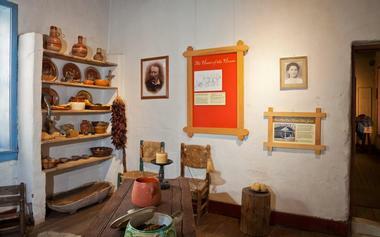 The Kit Carson Home and Museum in Taos was once the home of famous frontiersman, Kit Carson, and his family and operates as a house museum dedicated to showcasing the life and times on the frontier in the early 1800s. Built in circa 1825 and located just one block from Taos Plaza in the heart of Taos, The Kit Carson Home is a beautiful example of regional and Spanish Colonial architecture with two-foot-thick adobe walls and a sunny courtyard. The four-room house was bought by Carson as a wedding gift for his third wife in 1943 and was inhabited by the family for the next 42 years. Operated by the Taos Masonic Lodge, The Kit Carson Home and Museum is a registered National Historic Landmark, one of only 46 in the entire State of New Mexico. Still situated on its original footprint at 113 Kit Carson Road in Taos, The Kit Carson Home and Museum has been beautifully restored to its former glory with the building retaining the home’s original façade and historical footprint. The house’s interiors and courtyard are much the same way as they were when the Carson family lived in the house with an adobe-style baking oven called a horno, a drying rack and other artifacts from the mid-19th century. 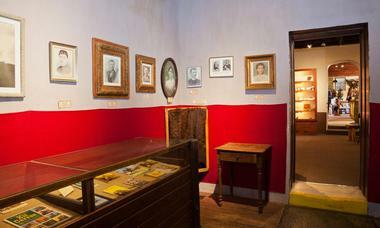 The Kit Carson Home and Museum’s collection features many of the family’s possessions that were left behind in the house when Kit and his wife, Josefa left for Fort Garland in 1866. Artifacts include Carson’s U.S. Army Civil War saber and scabbard, a replica of his .50 caliber Hawkins rifle, a sewing kit with a red silk lining that belonged to Josefa, Carson’s Masonic hat, and several traditional farm tools. Flying over the entry portal of the house is a territorial flag dating back to 1862. 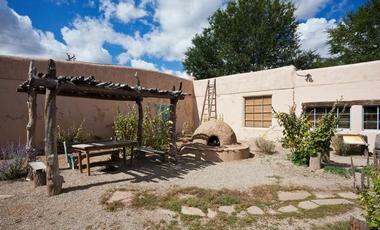 The Kit Carson Home and Museum is dedicated to preserving the history of the original Taos home, its structures, and contents. One of the ways the Museum does this is by offering the KCHM Summer Lecture Series, a series of lectures and discussions presented by authors, historians, educators, scholars, and other historical experts on aspects of history related to the Museum’s mission. 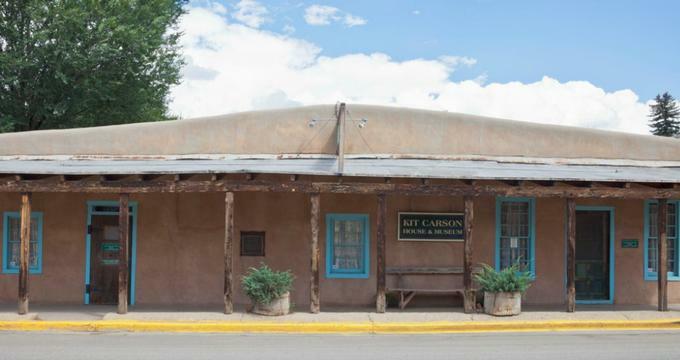 The Kit Carson Home and Museum is located in the heart of Taos on 113 Kit Carson Road and is open from 10:00 am to 5:00 pm March through October and from 10:00 am to 4:00 pm November through February. On entering the Museum, visitors can watch a 20-minute documentary about Carson before exploring the Museum’s collections and exhibits. 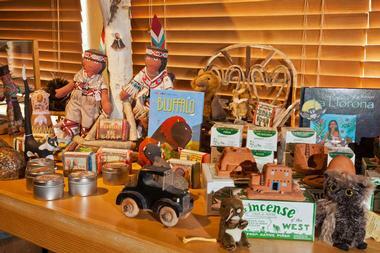 The Museum has an onsite gift shop that sells a range of Museum-related goods, including Carson, southwest biographies, and other items. The Museum is handicap accessible, and there are an array of excellent art galleries, quaint shops, and fine lodging and dining within walking minutes of the Museum. Kit and Josefa Carson, as well as other famed Taos citizens like Mabel Dodge Luhan. A few miles out of town in the historic site of the Martinez Hacienda, which has been lovingly restored to its original form to showcase an exquisite example of New Mexico architecture and early New Mexican life.